The UK is a world leader when it comes to media. Whether it’s music, film, television or games, our presence is felt at the highest level and on a global scale. For each of these industries audio is the common link, the one thing they all need. 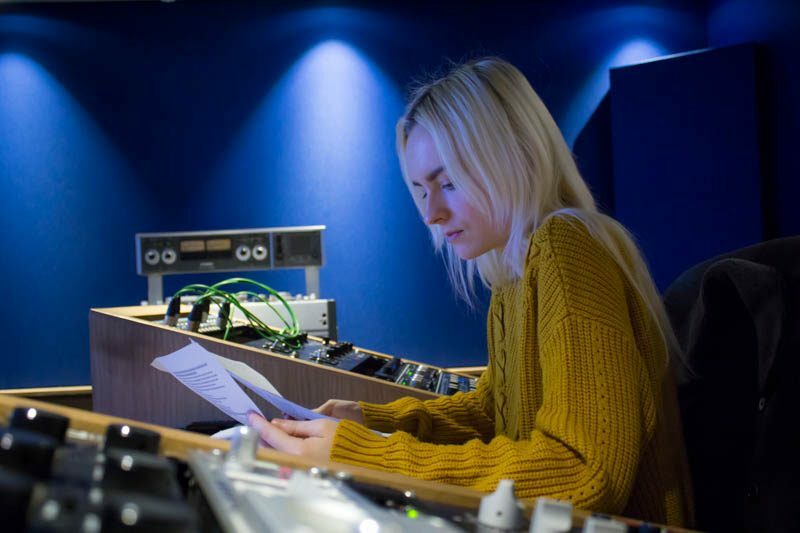 BSc (Hons) Audio Engineering & Production deals directly with music production, post-production for film and television as well as audio design for games. With a strong emphasis on high standards of practical work, well-developed written and verbal communication, this course provides the right vocational-academic blend for industry or postgraduate study. It’s a course for anyone passionate about sound. So whether it’s music, film dialogue or sound effects, provided you share our obsession for the way audio is captured, manipulated and applied, then this is the course for you. Commended for our course design and real-world briefs, the success of this course owes most to our experienced and professional tutor team, our extensive industry compliant facilities, smaller class sizes and of course our students at the heart of the Futureworks creative community. For someone with a keen interest in sound, the commitment and drive to succeed, Audio Engineering is your way in. You will love our facilities – our recording studios are among the best in the country. We have 12 music, mastering and post production studios, featuring top of the range consoles such as Neve, Avid S6, SSL and Icon, with stunning monitoring and classic microphones to match. You can see more about our incredible facilities elsewhere on the site, but our main claim is that all the studios contain the hardware and software you will be expected to work on in the real world of audio engineering. This course will enable you to progress through every studio, starting with the simplest, working up to the biggest and most advanced facilities. By the time you leave us, you will be confident working in virtually any studio environment. What sets Futureworks apart is our tutor team. Our experienced and professional tutors are industry active, feeding current techniques from live briefs and high profile projects into your programme of study. They bring energy and industry expertise. Our Bachelor of Science (BSc) degree programmes are a blend of technology and creativity, designed to target a wide range of career opportunities. Many of our students progress on to postgraduate study – MSc and MA programmes in Sound & Music Production, Sound Design, Acoustics and Noise Control, Audiology, Public Policy and Human Development – to name but a few.